CHANCE® helical foundation systems for new construction are designed, tested and proven for applications in expansive soils, high water tables, fill areas and other areas where unstable soils require piling. CHANCE helical pile systems reach competent soil below active zone, are predictable via torque-to-capacity correlation, do not require excavation or spoils to prepare site, will accept loads immediately and install in limited access areas in most weather conditions. 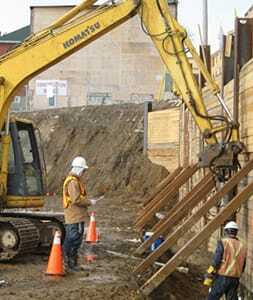 CHANCE deep foundation systems provide high capacity solutions to stop the settling and cracking of commercial and industrial structures. Selected by load requirements and soil conditions, our systems offer capacities ranging to 120,000 pounds for each pile. CHANCE certified installers are thoroughly trained and certified in installation procedures and are supported by our extensive technical-support services and backed by our 30-Year Transferable Limited Product Warranty. 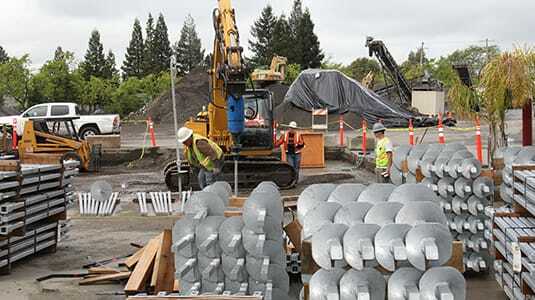 CHANCE earth retention systems provide support for most retaining wall construction and stabilization projects, and temporary or permanent stabilization of cuts and slopes. 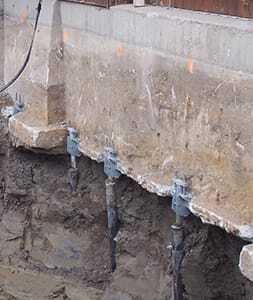 CHANCE helical tieback anchors reliably provide additional lateral support for many retaining wall designs. CHANCE Soil Screws® remove performance uncertainties and associated costs of grouted soil nails in soils of low shear strength.